World Heritage listed, this magnificent space is the oldest surviving building for the Royal Exhibition era and still operates as a functioning exhibition hall. Standing strong in Carlton Gardens, the building is beautiful inside and out - a true landmark of Melbourne. Dozens of trade fairs and public expos are held at the REB annually, continuing 135 years of bringing new ideas to Melbourne. It is also available to book for business events, with seated capacity for up 2,500 people. 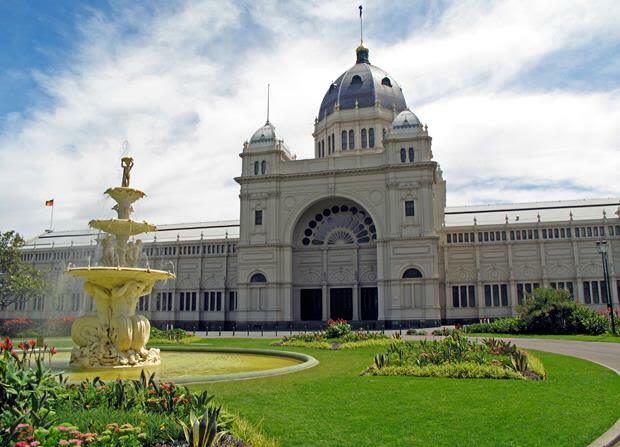 Showtime Event Group are able to cater for your next event at the Royal Exhibition Building. One of the most famous and beautiful buildings in Melbourne, this is an unforgettable space for a dinner with a difference. Showtime Event Group will cater your dinner and assist with entertainment and theming to really wow your group.